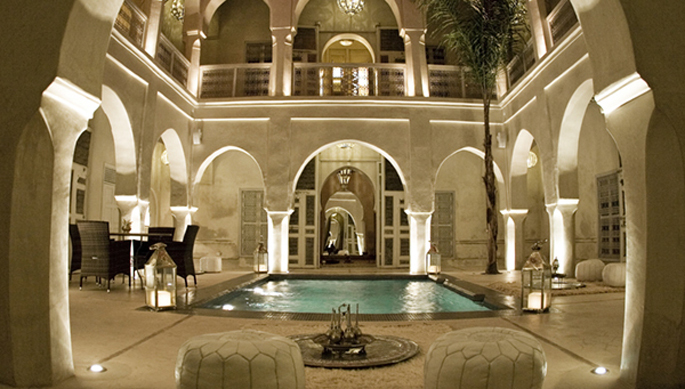 Located in the heart of the Medina, or historic city, of Marrakech, the AnaYela is surrounded on all sides by the bustling souks, cafes and nightclubs of the lively Red City. Housed in a 300-year-old palace, the hotel is named for a former occupant, a girl named Yela who left behind an intimate journal in one of its secret rooms. The hotel name translates literally to “I Am Yela,” and everything in it references the life and times of its past dweller. 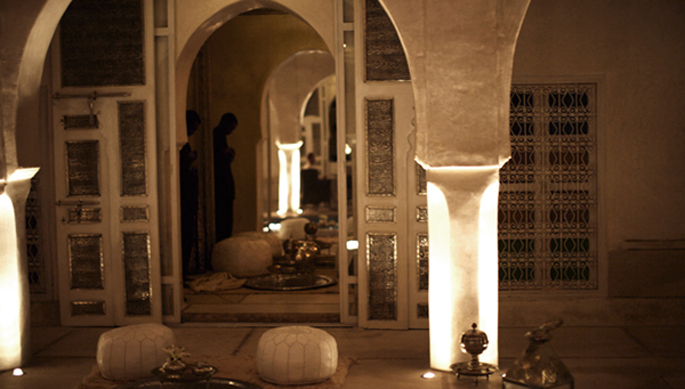 One of Morocco’s most renowned calligraphers even hammered the girl’s story in silver onto the vast doors scattered throughout the premises so that guests can stroll through the house and “read” them like pages in a storybook. 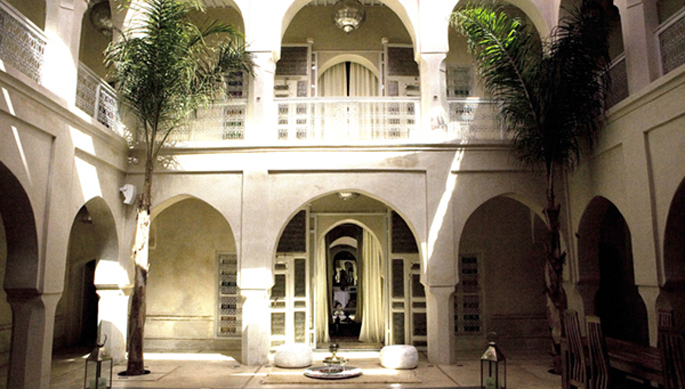 The building itself is an homage to Moroccan history – in particular, local architecture and design. Its restoration was conducted using only traditional Moroccan craftsmanship, with over 100 artisans performing the work completely by hand, without the help of a single electric tool. Similarly, each piece of furniture and ornamentation was personally designed by owner Bernd Kolb and designer Yannick Hervy and then handcrafted by a team of Moroccan artisans. Inside, the AnaYela contains just three double rooms and two suites, meaning guests are assured a luxuriously intimate and exclusive experience. 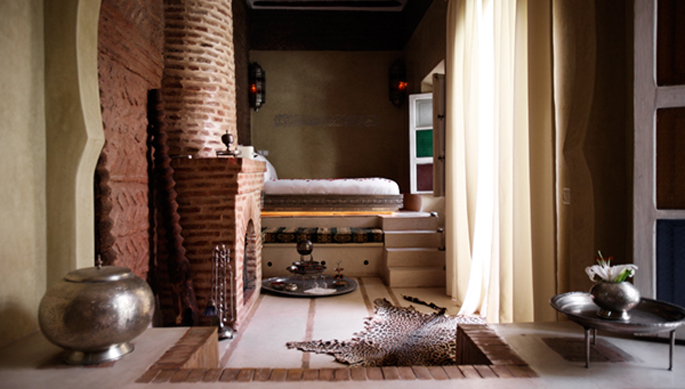 Each room is individually decorated, and the suites come with brick-built baths for two. 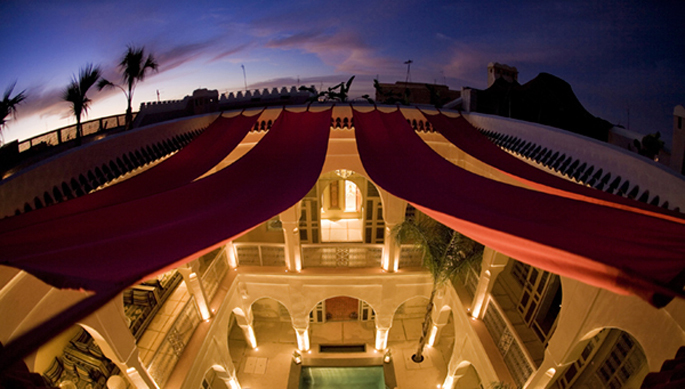 Services range from in-room massage to on-site henna painting, and facilities include a restaurant serving traditional Moroccan cuisine, 24-hour snack bar, multiple lounge areas and several conference spaces, including an open-air cinema and two salons.